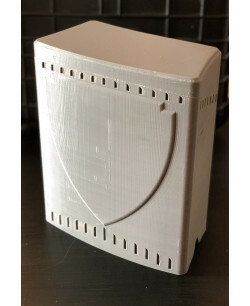 433MHz (20W), 868-915MHz (25W), 2.4-2.5GHz (20W), 2.4-2.5GHz (20W), GPSL1/GlonassL1 (40W), 5.8GHz (2W). Total 127W. 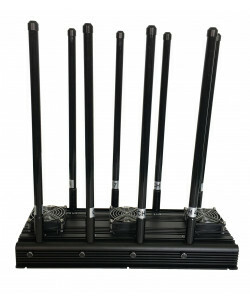 433MHz (20W), 868-915MHz (25W), 2.4-2.5GHz (20W), GPSL5 (15W), GPSL1/GlonassL1 (40W), 5.8GHz (2W). Total 122W. 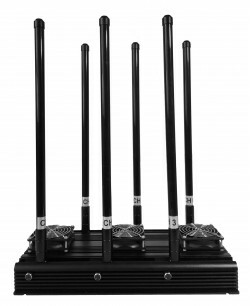 433MHz (20W), 868-915MHz (25W), 2.4-2.5GHz (20W), GPSL2 + Glonass L2 (15W), GPSL1/GlonassL1 (40W), 5.8GHz (2W). Total 122W. 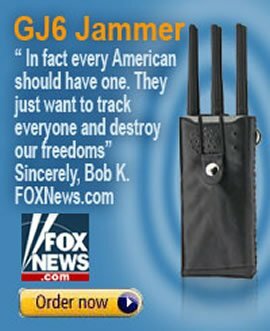 Each frequency can be manually adjusted and switched off if needed. 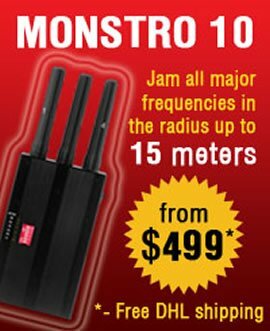 Drone Killer 6 is capable to jam most frequently used commercial drones frequencies. 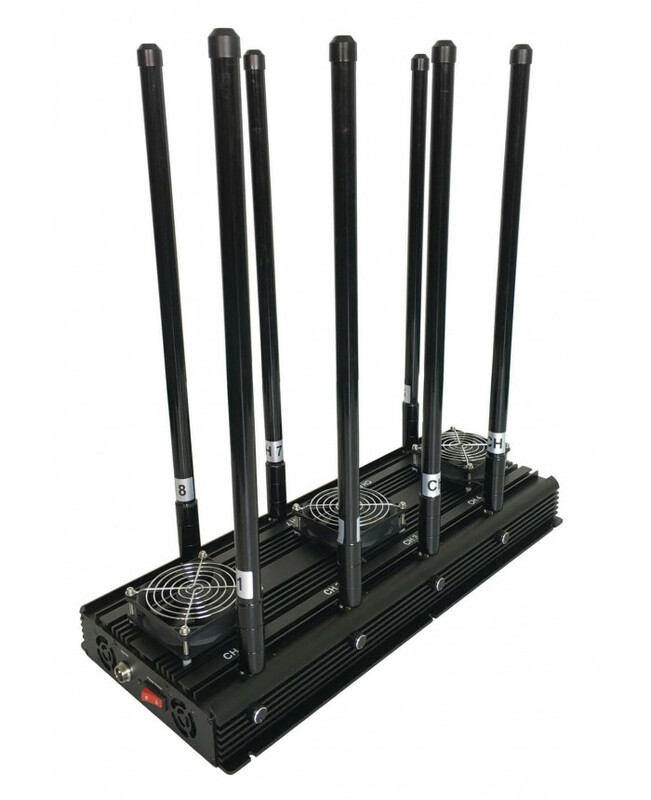 We configured this jammer with one simple idea - to give the opportunity to the owner of this device to make sure that if any remote controlled aircraft is flying within the jamming radius of Drone Killer 6 - this UAV will be fully disabled. 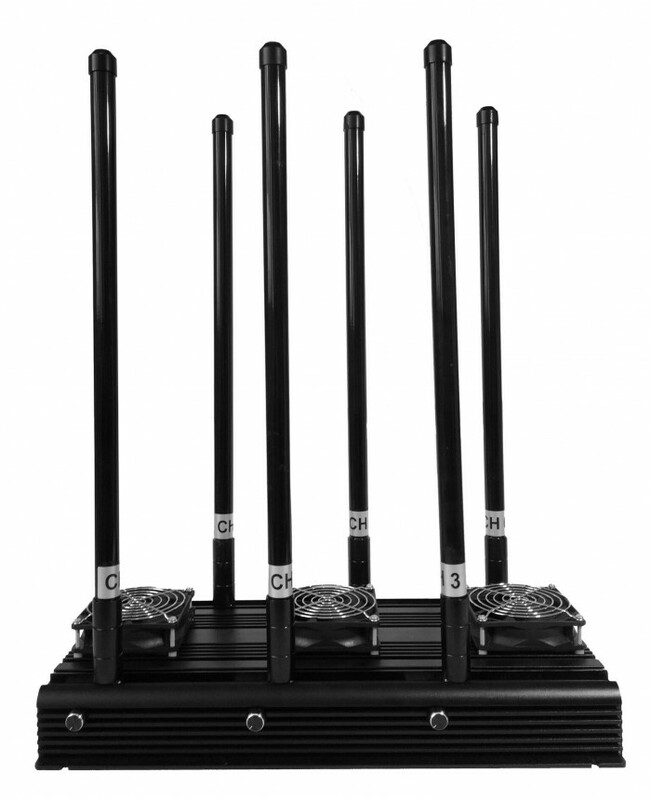 However, we can also configure the jammer to fully disable GPS L5 or simply increase the jamming power of 2.4GHz. 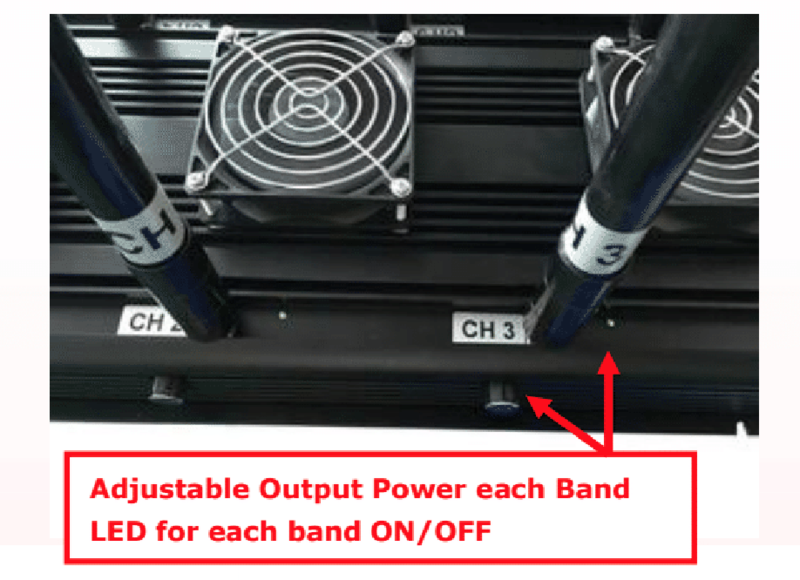 Total output power is around 120W-130W which will make the jamming range to be around 300-600 meters. 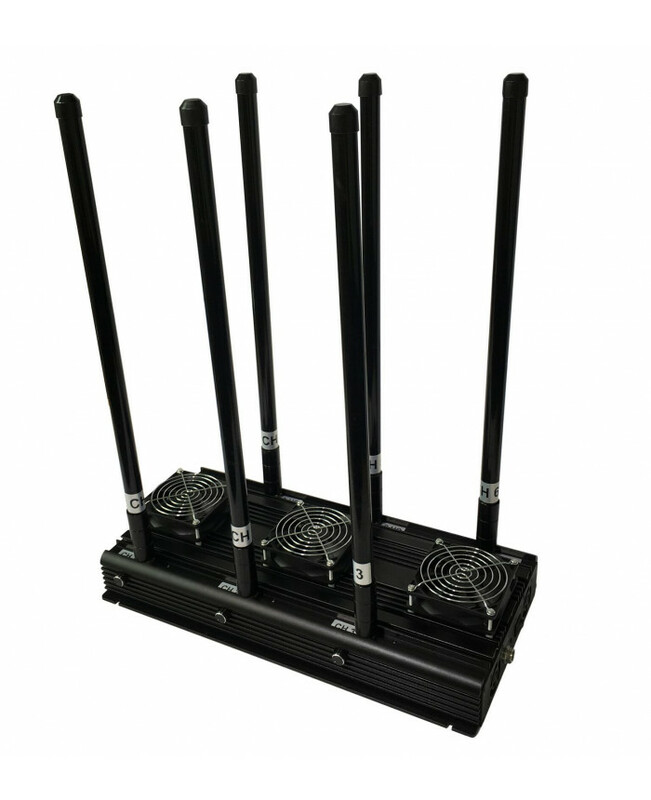 The power and radius of each antenna/frequency can be manually adjusted from MAX to 0 (OFF). *Please note that Jammer Store offers a fully bespoke service to all our customers. 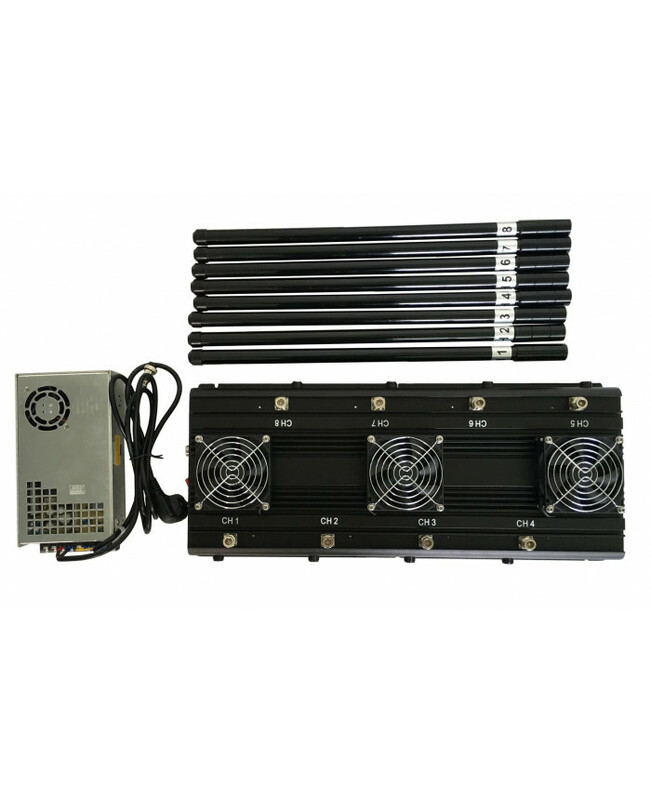 It basically means that Dron Killer 6 jammer can be customized based on your requirements. It means that if you, for instance, don't need to jam GPS L2 and would like to increase the power of 2.4GHz, we will be able to do it for you without any problems. Please send your inquiries to our email address. Drone Killer 8 is the advance version of Drone Killer 6, for those who would like to jam even more.. 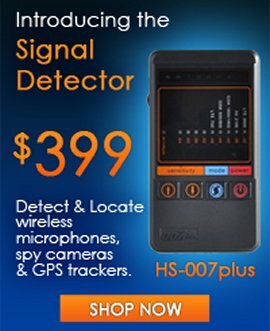 The radio-frequency Drones Detector is a hardware-software device that allows detection, notificatio..